The fourth and final level of “Uncover” is now available, completing the series. 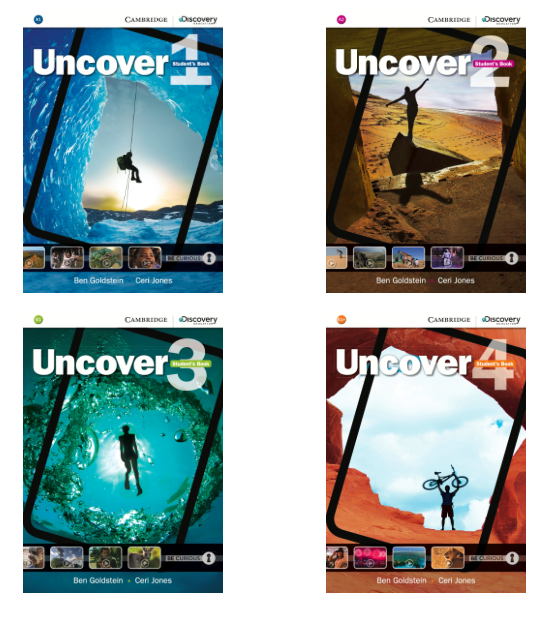 Uncover combines captivating video from Discovery Education™ with a unique approach that opens up a whole new way for students to view the world. Now, learning English is much more interesting as students embark on a journey to uncover the cultures and people of the world around them! Uncover is the American English version of Eyes Open.